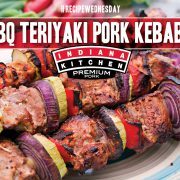 As a kid you turned up your nose, but now you're giving those brussel sprouts another chance, especially when they're in this delicious side dish featuring Indiana Kitchen Bacon! 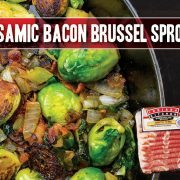 Add chopped bacon and halved brussel sprouts to a cast iron skillet over medium heat. 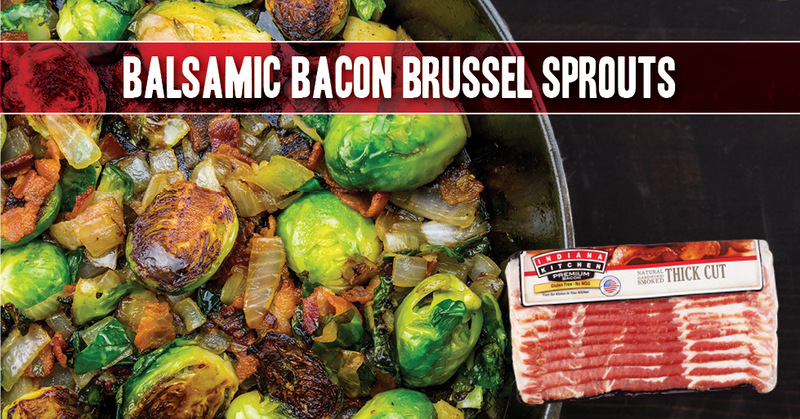 Season with salt and pepper and cook, stirring occasionally, until bacon is cooked and brussel sprouts have begun to brown, about 15 to 20 minutes. Drizzle 1/2 cup of the balsamic vinegar over bacon and brussels, stir and cook a minute more. Take off a heat. Transfer to serving platter and drizzle remaining balsamic vinegar over top. Enjoy.